Nano diminishing abrasives level imperfections safely with the Porter Cable 7424XP. Get the ultimate swirl-free finish with Wolfgang Total Swirl Remover 3.0 and Wolfgang Finishing Glaze 3.0, or as we call them, the Wolfgang Duo. Pair these polishes with the Porter Cable 7424XP and you’ve got a recipe for shiny, smooth, lustrous paint. Wolfgang Total Swirl Remover 3.0 and Wolfgang Finishing Glaze 3.0 are made through the combined effort of Wolfgang and one of Germany's most well-known and respected chemists. Each formula utilizes Wolfgang diminishing abrasive technology and Germany’s proprietary milling process and nano-sized particles. The results are two professional grade car polishes that will remove a wide range of imperfections and restore a showroom shine to your vehicle. First, remove moderate imperfections with Wolfgang Total Swirl Remover 3.0 and a light cutting pad. Then follow up with Wolfgang Finishing Glaze 3.0 and the included black finishing pad to smooth away haze and restore surface gloss. These two products are made to work hand in hand to give your vehicle a smooth, flawless shine in just two steps! Because they utilize fast-cutting nano abrasives, the polishes work well with the Porter Cable 7424XP. Wolfgang Total Swirl Remover 3.0 is a hybrid of our original Total Swirl Remover formula and Germany’s fast-cutting polish for ceramic clear coats. It combines Wolfgang’s diminishing abrasive technology with a special milling process pioneered in Germany, which produces consistently sized, fast cutting abrasives. Wolfgang Total Swirl Remover 3.0 is an aggressive swirl remover with the gentle touch of a shine-enhancing polish. It’s not an oxymoron  its a unique breed of abrasives that level paint without scratching. Wolfgang Total Swirl Remover 3.0 starts improving the paint immediately and leaves the paint noticeably smoother and shinier, even before the finishing polish is applied. Firm, high density foam for scratch and defect removal. Use this pad with polishes and swirl removers. It’s an all around pad that will work on all light to moderate imperfections. This black pad is perfect for applying wax, fine polishes or sealants. The soft foam is gentle on clear coat finishes and can be used for buffing if desired. Use this pad with Wolfgang Finishing Glaze. The black pad will distribute the finishing polish without cutting the paint. Wolfgang Total Swirl Remover 3.0 and Finishing Glaze 3.0 are both quick and effective on all types of paint, including ceramic clear coats. These professional quality polishes are designed to cut fast and break down with a rotary machine. With the Porter Cable 7424XP, the abrasives’ working time is extended because there’s less heat being generated. 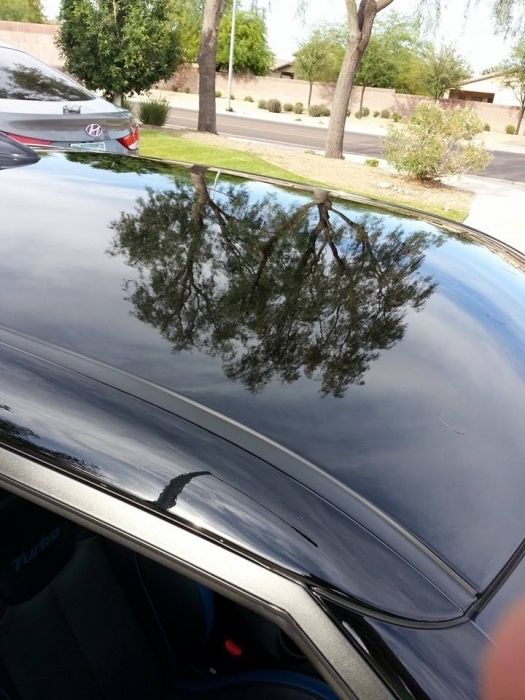 You still get the same expert polishing and swirl removal, but the process is safer for conventional clear coats. The Wolfgang Duo & Porter Cable Kit includes steps one and two of the process. We recommend that you always follow up polishing with a paint protectant, such as Wolfgang Deep Gloss Paint Sealant 3.0 or Wolfgang Füzion Estate Wax. Polish and restore your vehicle’s pristine shine with the Wolfgang Duo & Porter Cable 7424XP Kit. A total retail value of $230.92. Save $50.93! This was my first purchase of a machine polisher, and paint correction products. The packages made it a no brainer on what to choose and have been floored by the results on my black paint. The PC 7424xp does and amazing job of making applications simple and the Wolfgang products..are unbelievable! Buffer and Wolfgang were a pleasure to work with on my project. came with all I needed to start detailing my car. Easy to use - removed swirls and scratches easily. Prosgood starter kit - comes with what you need to start removing swirls and scratches. Conswish bottles were larger size - did a small car and not much left. Used this product to remove swirl marking from a dealership buffing job. I could not be more pleased with the results, and this was on a black vehicle. Would recommend this product to the first time user and an experienced one as well. Great product. ProsEase of use. Great results. The real reason I purchased this kit was for the Porter Cable polisher to polish my counter tops, I can purchase the kit without the machine. I started detailing 1967 with a rotary buffer using various wool pads for the past few years I have thought about an orbital polisher but found no real reason to do so until I wanted to polish out my counter tops so I found this kit I can use for my vehicles and boat. I got it yesterday and I think it would be difficult to destroy a paint job with it especially if you watch the instructional videos on this site. I think I would have started with a little more aggressive polish than came in the kit but so far so good. I am going to need some different pads and some cutting compounds to cut the oxidation on the top of the boat, I'm not sure this machine can cut that. I do know that it will be great to get the polish in the pores of the gel coat, gel coat needs a lot of polish to sink into the pores of the gel coat before sealing it with wax.